Sometimes an employer’s benefits program can include an employee stock ownership plan, commonly referred to as an ESOP plan. An ESOP plan is an employee benefit that allows its company’s participants to purchase the common stock of their company. Those who participate often receive tax benefits for purchasing these shares, and companies believe that allowing their employees to purchase shares of the company will incentivize employees to perform well and boost the share price. This is an excellent program to take advantage of if your company provides it, but there is something to be mindful of, which is: How can these shares impact my tax liability? Well, the tax issue doesn’t become relevant until you approach retirement and begin to think about taking your balance out of the plan. When you become ready to do this, you are presented with two options on how to handle the balance. Option 1 is to take the shares from the ESOP program and roll them into an IRA. Taxes do not come due, but you will be liable for the taxes when you take a withdrawal from the account. The amount will be taxed at your current ordinary income rates. Option 2 is to move the shares into a non-retirement account. In this method, the ESOP shares are moved in-kind and you pay ordinary income tax rates on the average cost basis of the shares, which is the average price you paid for all the shares you own and typically below market value. Then when the shares are sold within the account, the amount in excess of cost basis is taxed at long term capital gains rates. It may seem like you’re paying taxes twice in the second option, but by taking advantage of net unrealized appreciation (or NUA), you might be able to save yourself on taxes in the long run. You see, long term capital gains rates are typically lower than a person’s income tax rates with capital gains being 0, 15, or 20%, so a person would be paying ordinary income tax on a portion, then long term capital gains on the remainder, again assuming the shares have been held for 1 year or longer. This can be a tricky process, and most employee benefits programs only allow you to execute this process once. Make sure you have it right. Warren Street Wealth Advisors has worked with employee ESOP shares before and executed NUA strategies. Contact Us today and schedule a free consultation on how to best handle your ESOP shares. This item is only used as an illustration of the strategy. Illustration does not indicate how all tax liabilities could play out. All investments carry specific risks and please consult your financial professional before making investment decisions. Warren Street Wealth Advisors are not Certified Public Accountants (CPA), and this is not considered personal or actionable advice. Please consult with your accountant or financial professional for further guidance on whether an NUA strategy is right for you. Disclosure: Joe Occhipinti is an Investment Advisor Representative of Warren Street Wealth Advisors, a Registered Investment Advisor. The information posted here represents his opinions and is not meant as personal or actionable advice to any individual, corporation, or other entity. Any investments discussed carry unique risks and should be carefully considered and reviewed by you and your financial professional. Nothing in this commentary is a solicitation to buy, or sell, any securities, or an attempt to furnish personal investment advice. We may hold securities referenced in the blog and due to the static nature of content, those securities held may change over time and trades may be contrary to outdated posts. I know, I know, you’d rather be thinking about the holidays than taxes. Consider us The Grinch for even bringing this up, however, the timing is important. As the years draws to a close it is important that you consider year end tax planning before 2017 strikes our calendars. 1) Changes to the tax code? There were no significant changes to tax law from 2015 to 2016, prepare for much of the same for your 2016 filing. If you’re over age 70 ½, make sure you take your required minimum distribution (RMD) by December 31st. Investors who turned 70 ½ this year can defer their 2016 RMD until April 1st of next year, but that will mean taking two RMDs next year. Investors who turned 70 ½ last year and deferred their 2015 RMD to 2016 need to make sure they take their 2016 RMD by December 31st. Important to note: RMDs apply to most retirement accounts, not just IRAs; 401(k)s and even Roth 401(k)s are subject to RMDs. If you are eligible, be sure to max out your IRA when you can. An individual can contribute up to $5,500 per year, or $6,500 if over the age of 50. These contributions can be on a tax deferred basis or after-tax basis (ROTH IRA) depending on your personal goals and objectives. 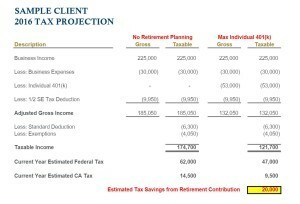 If you think you’re in a lower tax bracket now then you will be in the future, and you’ve got most your assets in pre-tax buckets like a 401(k) or an IRA, it may pay to consider converting some of those assets to a ROTH IRA. The ROTH IRA grows and can be withdrawn from tax free after age 59 ½. 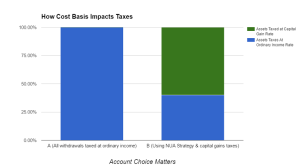 Converting assets to a ROTH may create a tax bill today for future savings, so be aware. One wonderful perk of a conversion is the fact that you can undo it should the terms or tax implications look unfavorable before you file. This is called recharacterization. You’re eligible to recharacterize the conversion all the way up until the time you file, including extensions. Consider converting small portions over a long period of time when your tax scenario makes sense. Charitable contributions are usually deductible up to 50% of your adjusted gross income (AGI). If you have a habit of being charitable, might as well get credit for the deduction. If you plan to give, consider doing it in years when you need the tax break. Also, if you’re at the limit for giving, consider delaying gifts until your deduct limit clears out next year. One other strategy we like to see considered is gifting highly appreciated securities. You can deduct the market value of the securities subject to your deduction limit, and avoid the capital gains taxes you would have been exposed to should have sold the securities in your name. If you’re curious for a ballpark figure on what you can deduct, you can see your AGI on Page 1, Box 37 of your 1040, also known as your tax return. Two bullet points for charity, we can’t be The Grinch! Qualified Charitable Distributions (QCDs) are a wonderful part of the tax code that allows you take distributions from your IRA and send directly to a charity of your choice, tax free. The best part, QCDs don’t count as income, but do count against your RMDs. QCDs will also reduce your adjusted gross income and could reduce your Medicare Part B premiums, in addition to reducing the amount of your Social Security benefits that are taxable. I know, sometimes your loved ones feel like charity, but if you’ve got any large gifts planned to grandkids, children, or whomever, timing matters. You’re able to gift $14,000 to any individual each year without any gift tax implications. You and your spouse can gift that amount separately to the same person for a total of $28,000. These gift amounts are a great way to reduce your taxable estate or even fund your wishes in your lifetime without getting into messy gift and estate tax issues. One additional creative idea, you’re able to gift five years worth of gift limits into a 529 plan in a single year, so in this case, $70,000. One asterisk, you can’t gift to this person again for five years. We see folks use this technique if they want to fund large portions of someone’s advanced education while reducing their taxable estate at a faster rate. This is something we do on behalf of our clients, but if you manage outside assets on your own, consider booking some of your losses. We all have some, don’t be shy. Losses can be used to offset capital gains generated within your portfolio, carried forward to future years, or even a small portion used to reduce taxable income. One great idea when harvesting losses is trying to replicate your exposure of what you sold, so that you’re not sitting in cash waiting for the IRS 30-day wash sale rule to pass to buy back the original security. If it sounds complicated, let us show you how we do it for our clients. To add some intrigue after the last bullet point, it’s equally as important to harvest your gains at the appropriate time. Depending on your income level, you could pay as low as 0% in long term capital gains tax rates. It makes sense to know in what years you’ll fall below this income threshold so that you can pay as little taxes as possible. RMD? IRA? What are these things exactly? If you need help navigating your financial picture, contact us and schedule a free consultation. Blake Street is a Founding Partner and Chief Investment Officer of Warren Street Wealth Advisors. Blake graduated from California State University, Fullerton in 2009 with a Bachelor of Arts in Finance, and he is a CERTIFIED FINANCIAL PLANNER™ (CFP™) and a Chartered Financial Analyst (CFA). 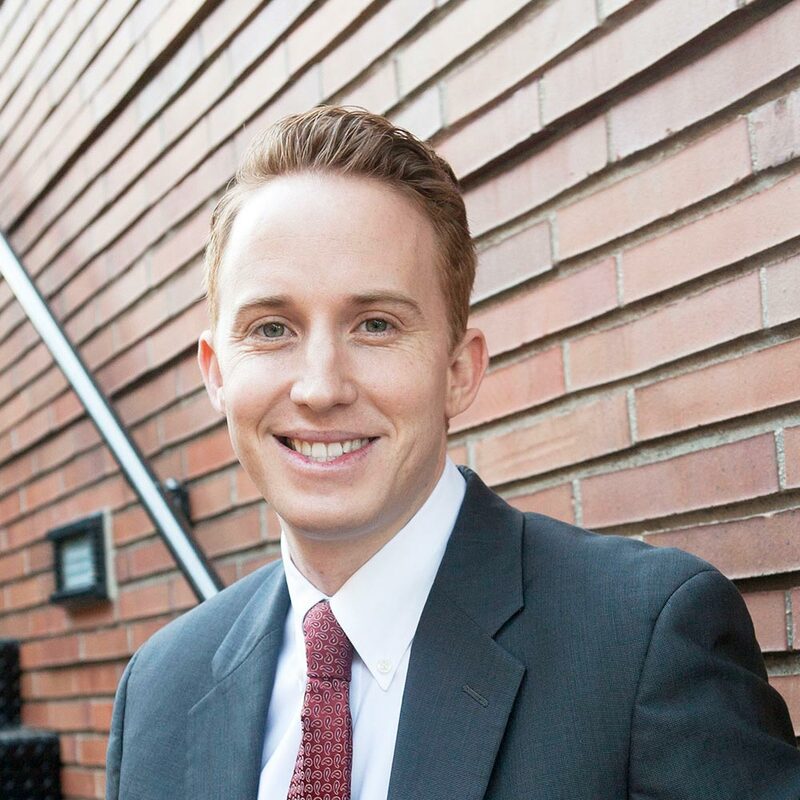 Disclosure: Blake Street is an Investment Advisor Representative of Warren Street Wealth Advisors, a Registered Investment Advisor. The information posted here represents his opinions and is not meant as personal or actionable advice to any individual, corporation, or other entity. Any investments discussed carry unique risks and should be carefully considered and reviewed by you and your financial professional. Nothing in this commentary is a solicitation to buy, or sell, any securities, or an attempt to furnish personal investment advice. We may hold securities referenced in the blog and due to the static nature of content, those securities held may change over time and trades may be contrary to outdated posts. It’s no secret that streamers don’t like paying taxes, we don’t either. Don’t let taxes drag down your profits as a streamer or content creator. Using bookkeeping software should be one of the first things you do to take control of your stream as a business and attempt to reduce your tax liability. Bookkeeping will allow you to classify your stream expenses and potentially turn them into tax write offs. Your Streaming Space – Also known as your home office. Most people are streaming out of their homes, and that means that part of your mortgage or rent goes towards the space for your stream. This percentage of space can be written off every year. As a simple example, if you use 25% of your space for your stream, and your rent is $1,000, then you can write of $250 per month for a total of $3,000 per year. Travel Expenses – I’m assuming you went to Twitchcon. Well, you guessed it, that travel expense can be deducted. You went to a location to help promote your business, maybe took some meetings, and tried to grow your brand. All of which are very legitimate business expenses. Meals & Entertainment – Do you have a partner for your stream? Are you collaborating with other streamers? Well, if you go meet with them for coffee, lunch, or dinner, and discuss business during the meals, then the meal expense can be written off as a tax deduction. Up to 50% of the total expenses associated with meals & entertainment can be deducted as long as you are conducting business. As you can see, if you are spending money on your business, the stream, then there is a possibility that the expense can be written off to lower your taxable income. Contact Us to learn more about what you can do to lower your taxable income and protect your earnings as a streamer. As many have come to learn, taxes can be the most complicated part of being a full time content creator, streamer on Twitch or professional gamer. With some people being considered contractors or employees of a team, or both, it can be difficult to navigate your tax liability and learn how to reduce it. However, there are solutions available. The biggest solution for those receiving a majority of their income via 1099 is the Solo 401(k) option, or “Solo(k)”. The Solo(k) is essentially a 401(k) plan but for a single person, and potentially a spouse, giving them the ability to defer their taxes and profit share themselves to help reduce tax liability come April. So what can the Solo 401(k) do for a streamer or pro player? 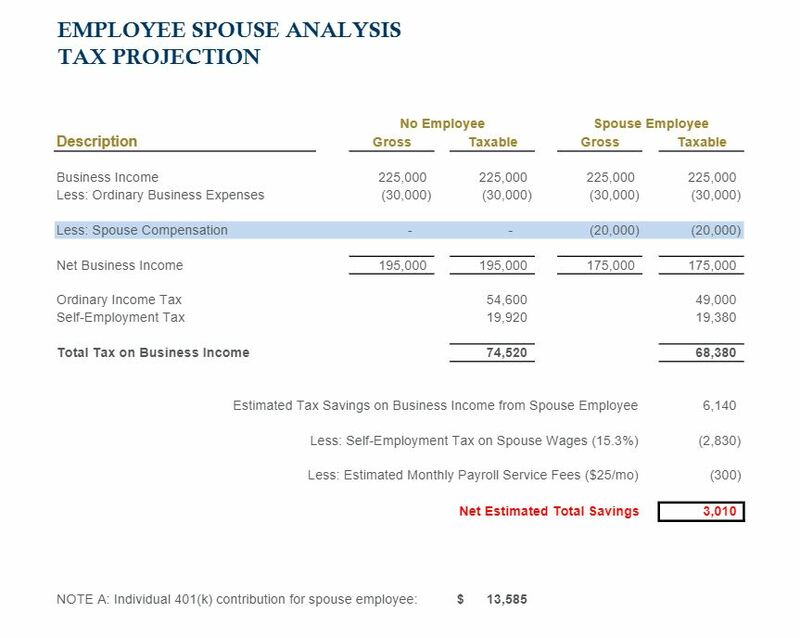 This example shows a streamer/player earning $225,000 in 1099 income, assumes $30,000 in business expenses across the year, a standard deduction (single person, 2016), and standard exemption (single person, 2016). 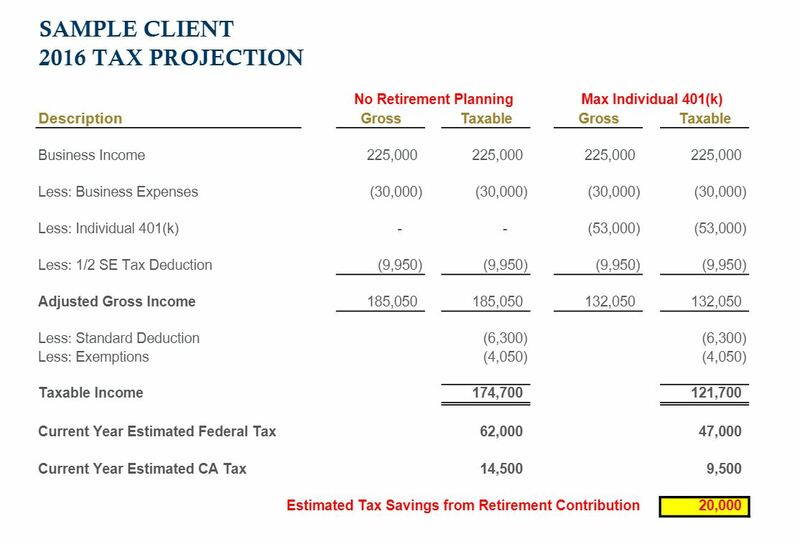 Additionally, California state tax rate was used in conjunction with the Federal tax, and you can see the savings between utilizing and not utilizing the Solo 401(k), a $20,000 savings to be exact. The savings comes from the $18,000 personal deferral then a profit share from the business of $35,000 for a max total deferral of $53,000 income within the year. Establishing a Solo 401(k) account is beneficial on multiple fronts; it allows you to set money aside for your retirement date, reduces your tax liability today, and can even be borrowed against should you find yourself in a pinch. Now, for some streamers who are married, you have the ability to put your spouse on to your business’ payroll. How can that impact your tax savings come year end? Here’s a conservative estimate below. Using the same amount of income, we can see that tax savings can also be found by correctly setting up your business to include your spouse on payroll, a 401(k) contribution for them and take advantage of additional tax savings. Opening a Solo 401(k) is one thing you can do, but you can see the immediate impact it can make for full time content creators. The Solo 401(k) is one of many things that every content creator should do to help minimize their tax liability into the future. Don’t wait to open one. In order to receive the tax benefit, the account must be opened within the calendar year. Contact us today to set up a free consultation and learn what you can do to maximize your tax savings for 2016 and into 2017. The contents of this article are not meant to be personal or actionable tax advice. Please consult a tax professional or your personal advisor before making any decisions. IRS & DOL guidelines must be carefully considered before choosing the retirement plan or tax advantaged savings vehicle that is right for you. The illustrations above are of hypothetical scenarios and are meant strictly for informational purposes. The world of eSports has turned a hobby into a full time profession for many people around the world. Streamers, professional players, and YouTube stars have been able to take their specific talents and turn their passion into a career. However, with this newly found cash flow comes a new liability in the form of taxes. The knock from Uncle Sam will only get louder as revenue streams, prize pools, and sponsorship deals increase. Many eSports professionals find themselves scratching their heads come tax time, trying to sort through W2 wages, 1099 income, and even how to handle income from organizations that didn’t report it in the first place. The burden remains on the the individual to accrue cash to pay taxes, keep their books, properly report income, and make sure they are in compliance with the IRS. The IRS, as always, does no favors in helping you make your tax bill small. If you’re a streamer, influencer, or competitor there is a high likelihood that you yourself are considered a small business in the eyes of the IRS. This means you’re liable for the 15.3% payroll tax on your earnings that you might only otherwise be liable for half of as a W2 employee. In addition, you may have liabilities from your business activities and even employees or contractors you may hire to do work for you. From what we’ve found thus far, few have addressed these variables with adequate intent. First things first get setup to adequately track business related expenses and any deductions that may reduce your tax burden. This is the first and easiest thing to control. A good start is separate banking for your business efforts and a solid piece of accounting software. Next, how are you incorporating your business? Sole proprietor? LLC? S-Corp? Each classification has its own nuances that will impact the bottom line dollars you keep and the liability you bare. It is important to look at not only the amount you make, but also the consistency of earnings, and the amount of liability your services or content generate before choosing a type of incorporation. As money comes in the door, aside from saving for goals, you need to save for taxes. Companies should be withholding taxes on your W2 wages, but any other forms of income the burden is on you. Generally our clients set aside 20-30% of every dollar of revenue aside for potential taxes. The struggle is real! Still have lots of profits left and nothing to spend it on? Why pay taxes on those dollars now? Consider opening a tax advantaged savings plan. Depending on your need, one might consider a Traditional IRA, ROTH IRA, SEP IRA, SIMPLE IRA, or Solo 401(k). 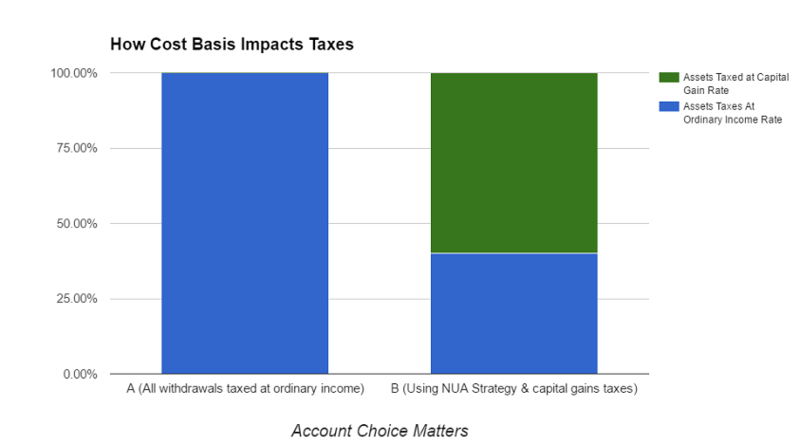 All of these plans allow for tax deferred or tax advantaged savings and investing but each offers a different level of complexity and contribution limits. Find folks with the expertise to guide you through the setup and management of each step we detailed above. This person or firm will need to network with their CPA’s and attorney’s or even your existing team to make the most of your new found success. The goal is to minimize your tax bill, grow your net worth, and protect you from some of the common financial pitfalls seen in both traditional and eSports. Warren Street Wealth Advisors was founded by a retired Counter-Strike: Source professional, and we are well aware of the challenges you face. We offer services that give streamers, professional esports players, and interactive media talent the ability to transform themselves from just a revenue generating entity to a well rounded and tax efficient business. If you’d like to learn more, feel free to contact Blake Street or Joe Occhipinti directly. 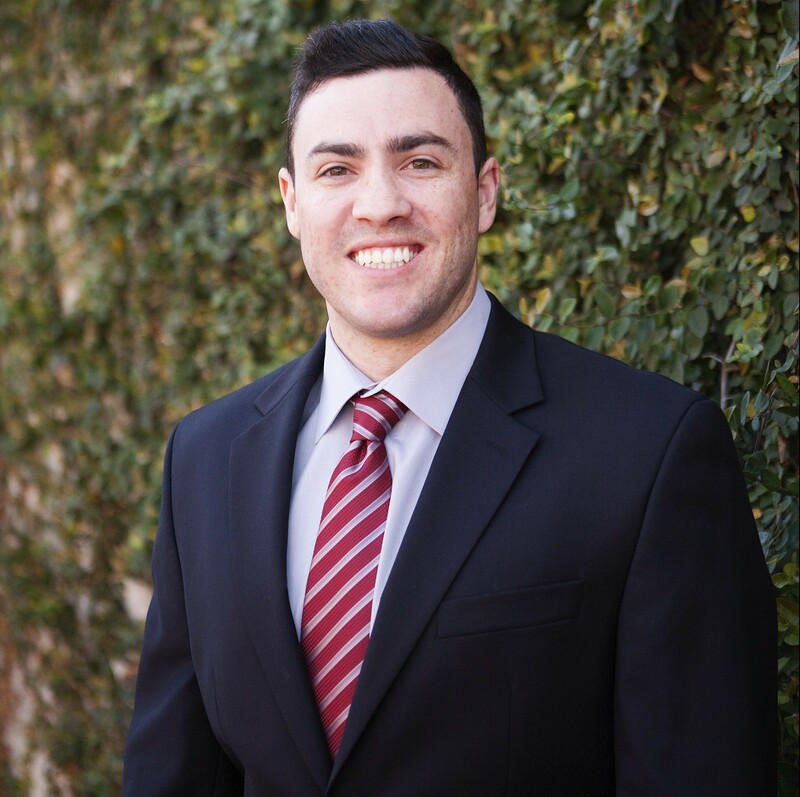 Blake Street and Joseph Occhipinti are Investment Advisor Representatives of Warren Street Wealth Advisors, a Registered Investment Advisor. The information posted here represents his opinions and is not meant as personal or actionable advice to any individual, corporation, or other entity. Any investments discussed carry unique risks and should be carefully considered and reviewed by you and your financial professional. Nothing in this commentary is a solicitation to buy, or sell, any securities, or an attempt to furnish personal investment advice. We may hold securities referenced in the blog and due to the static nature of content, those securities held may change over time and trades may be contrary to outdated posts.